My daughter’s school recently held a get-together at an indoor trampoline park. When I was a kid, I dreamed of jumping on trampolines—doing flips, bouncing high into the air, and feeling weightless. I imagined it would be almost like flying, so on the day of the event, I donned my active wear and I swear, I think I was more excited than my daughter. I was going to be the cool mom, the mom who participates, the energetic, youthful type who’s a kid at heart herself. I imagined this all in vivid detail. I would not be one of those fuddy duddy moms who slouches on the sidelines lost in her phone while the children had all the fun. “Mommy, are you sure you can do this?” my daughter asked with obvious concern. Assuring her I was indeed down for a day of jumping, I leapt onto my very own trampoline. I did not do flips. I was instantly winded, and I think I bounced kind of high. I mean, it felt like it was pretty high, and I didn’t exactly feel like I was flying, because, well, I was too busy panicking about uncontrollably peeing on myself. That day, my experience at the trampoline park forced me to finally come to terms with my age. I was 44 years old, and I could no longer jump without fear of incontinence. Resigning myself to midlife was difficult for me, a proud Gen-Xer. I couldn’t stand the term midlife. It made me feel like I should be wearing elastic-waist jeans and carrying a casserole, watching Lawrence Welk and using a rotary phone. But I identified more with ripped jeans, and sushi, watching Black Mirror and scrolling through Instagram on my iPad. I was still full of life, dammit, even if I was halfway through it! For a long time I had this idea that as soon as I hit my forties, it was all downhill, and this mindset was my problem. That was the year when I’d finally have to start shopping at Chicos, I imagined. This nearly waist-length hair would have to go too, in favor of one of those cropped, mushroom shaped styles. I believed I’d have to conform to a certain ideal of what a middle-aged woman was supposed to be like. She was frumpy, and invisible. She didn’t have a say. Her fun was over. She was supposed to stay home and be matriarchal, or something. Except, I’m nothing like those stereotypes, and neither are my friends. I would be a terrible matriarch, for the record. Admittedly, I am not Forever 21, but I’m also not a bedazzled sweatshirt and polyester slacks. I’m still managing to pull off the long hair (I think I am, anyway), and more important, I remain flexible both in my joints and in my worldviews. Our mothers’ and grandmothers’ generations weren’t as open minded. 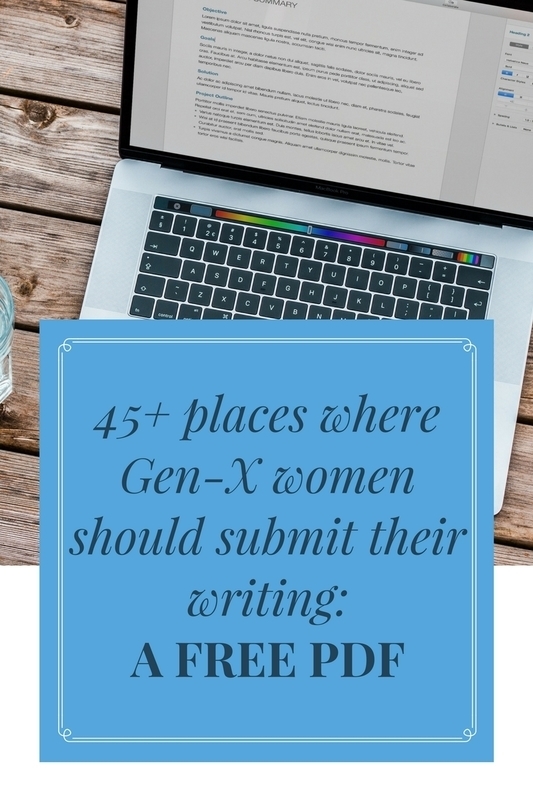 For them, forty was the beginning of an end, but for Generation X, it’s a different kind of beginning. We aren’t conforming to those old ideals of what women should be and do. We didn’t in the nineties when we were just starting out, and we aren’t in our forties in 2018 either. We are a strong-willed generation of creatives and innovators. This isn’t a time to settle down. We’re starting businesses, becoming activists, saving lives, and reinventing ourselves, and most of the time, we’re enjoying it and getting to do things on our own terms. Shoot, many of us are just now having children, which is awesome. We’re working, and still seizing the day with the same passion as when we first saw Dead Poets Society. Instead of shaking our heads at the music these teenagers listen to these days, we’re rocking out right along with them. And no one cares! I’ve finally been able to reconcile myself to my age, even in those frustrating moments when my body can’t keep up with my mind, and the reason why is because my generation is redefining the years that were always called midlife. It’s no longer a time to sit in the easy chair and watch Jeopardy. Midlife doesn’t have to be a crisis, either. Women my age are awakening. We can look how we want, go where we want, and still use our energy and wisdom to create change in the world. Because Generation X is destroying stereotypes of what it means to be older women, I’m free to be whatever I want. The world we live in doesn’t exclude me from being fun, hip, energetic, and relevant, even as I’m pushing 50. I’m allowed to be youthful, although I am no longer young. I am still welcome to participate, and I plan to. You know, as long as there are no trampolines. 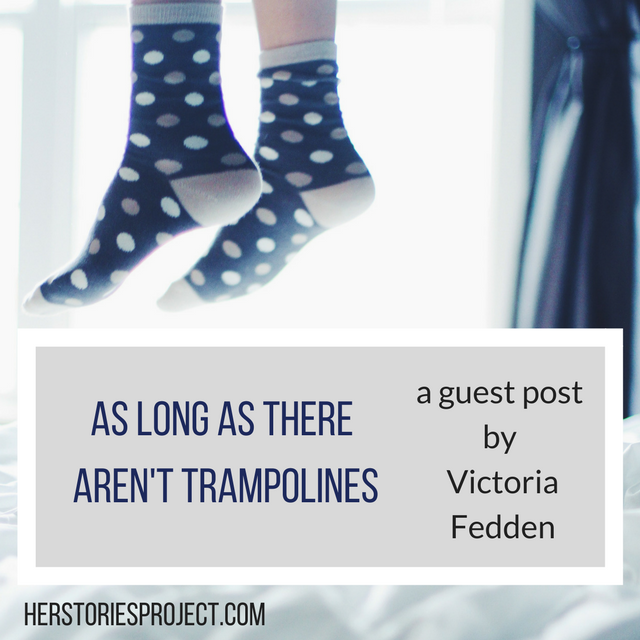 Victoria Fedden is a writer and a mom from Fort Lauderdale, Florida. Her memoir This is Not My Beautiful Life was published June 2016 by Picador USA. She teaches college writing and occasionally blogs on her website at www.victoriafedden.com. Her essays and articles have appeared in Real Simple, Chicken Soup for the Soul, The Huffington Post, Redbook, Elephant Journal, Scary Mommy, Babble and The South Florida Sun Sentinel, plus various other publications. Please visit her Facebook page at www.facebook.com/victoriacfedden for updates.